antonio de bonis: II part - Russian Mafia does not exist, not in Italy at least. 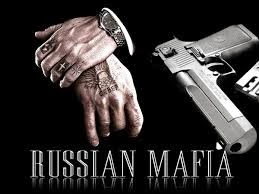 II part - Russian Mafia does not exist, not in Italy at least. I am approaching today, with this piece, the evolution of the historic Georgian crime in Italy. 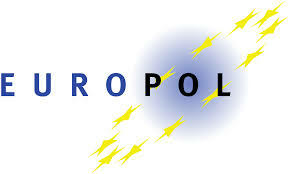 As mentioned in the previous piece on 11 July, Georgian organized crime it cannot be regarded as an element of novelty, in the national crime scenery, and repeatedly ​​cleared by the police, the judiciary and information in general, the dynamics and the characteristics of this kind of criminality. Definitely a reliable picture of this phenomenon comes from the analysis of the research results obtained by the various police forces, and already passed the scrutiny of the judgment of the judiciary. Over the past few years have been brought to fruition some investigative activities of particular relevance in Lazio, Piedmont and Lombardy, though minor activities were carried out in general in all the regions of the center-north. KURA: 2014, in the course of this month, again starting from the Piedmont, was discovered the operation of another Georgian criminal dedicated team - as usual - to the commission of burglary and always in the regions of north-central Italy, which has allowed the arrest of 44 Georgians. - collection of illicit proceeds in a mutual fund that is denominated in Russian общак the common fund of the criminal organization. - the use of false identity documents. It appears evident that in terms of knowledge of this phenomenon that it is - in substance - of elementary type. However, what actually is worthy of get further attention and concerns is the international nature in virtue of which these criminals cells have a network of protection, afforded by membership in criminal clans that provide higher level of assistance against other international criminal organizations. This is the aspect that I will discuss in the next piece limiting myself to describe and analyze the situation in Europe and the relationship it has with the Georgian organizations against the backdrop of Russian crime trends.